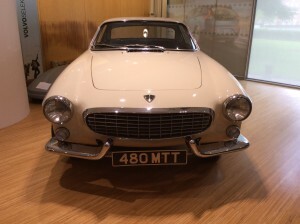 Although missing the ‘ST 1’ Registration plate it was nice to see a Volvo P1800 on display, just like the one driven by ‘The Saint’ (Roger Moore, also of James Bond fame) when I visited Volvo’s Training & Development Centre in Daventry recently. The classic image of Roger Moore driving his Volvo sports car in the 1960’s TV show, The Saint, endures even today. 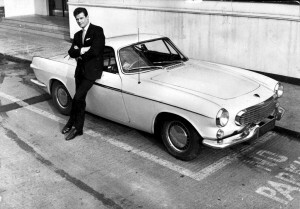 The Volvo Car Corporation supplied the “The Saint” television producers a total of five P1800 models for use on their show. 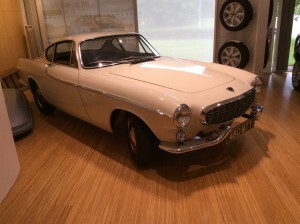 Volvo happily supplied the first one in 1962, registered as 71 DXC, within a week of its being requested. 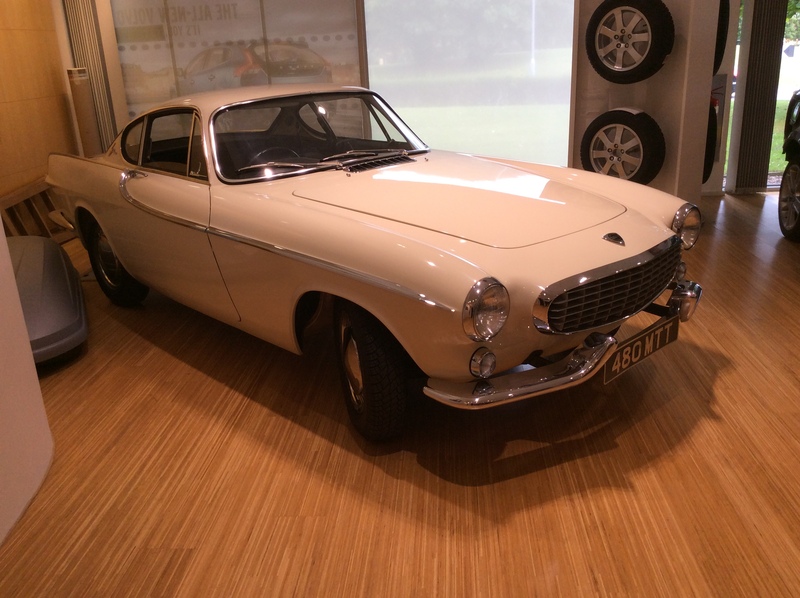 In 1964, Volvo moved production of the P1800 line from England to Sweden, and sent one of the new 1800S models, registration 77 GYL, to the set of “The Saint”. The first car was then chopped up for better interior shot access.